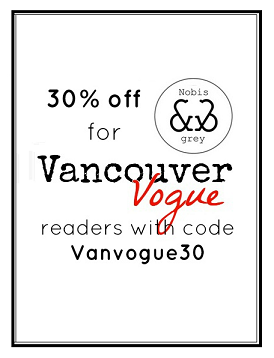 Vancouver Vogue: Earth Day: Time to Think About our Fashion Impact! Earth Day: Time to Think About our Fashion Impact! Today, April 22nd is Earth Day! There are so many ways that we can make our lives a little greener with small changes to the things we do everyday. I don't claim to be some eco-guru by any stretch, but for me, thrift shopping is one of the ways I feel I can help lessen my impact on the planet. How exactly does thrifting do that? It's all about reducing our footprint on the clothing industry, and reusing: putting less stress on our Earth's resources, which are used to create new clothing. By thrifting at your local thrift store, like Value Village, you can find all kinds of amazing fashion finds that have been pre-loved, but are still in great condition. And of course, part of thrifting also includes donating your old clothes too. Rather than throwing your old clothes away and taking up space in a landfill, the clothes could instead be going to a new home where they'll be loved again. Sadly, according to Value Village, 52% of Vancouverites threw away unwanted clothing or household goods in 2016 instead of donating. That's just crazy! Those are items that can be easily donated, keeping them out of our landfills. Interestingly, 45% of Vancouverites said they buy used clothing or household items to save money, as opposed to being environmentally conscious (10%). This was definitely me many years ago. I really had no idea that thrifting was considered eco-friendly! So, if you didn't know before...you do now! Since it's spring cleaning season right now, I thought hey, what better time to encourage you all to start thinking about thrifting more? Go through your housewares and clothes, pack up what you no longer want, and donate it at your local Value Village! Also need a spring fashion refresh? Why not pop inside one of their stores to do a little thrift shopping. Plus, it's basically guilt-free shopping, 'cause it's cheap and eco-friendly! Below, I'm sharing some of my favourite thrifted finds, to hopefully inspire you to get out there and get thrifting!